I met Cameron Bower for this interview outside of Browning Street Studios in West End. Cameron teaches music there when he is not creating it, so it is safe to say he is as knowledgeable about his passion as can be. As a member of Big Dead, Cam has the benefit of being able to put his teachings into practice and to practice his teachings – so both sides of his musical career are better for it. When I spoke to Cam about Big Dead and their upcoming EP, I found out very quickly how much he knows about music. I don’t mean just playing music but creating music, crafting it, making it sound as good as possible and loving every moment of it. During our chat Cam used a lot of musical terms that often went over my head when laced together with other complicated words. He doesn’t throw around these terms to sound impressive, he says them because they mean something to him and they are the correct words to use. The failing is on me for not following at times. Regardless, it does sound impressive when one can string a sentence together talking about ‘arpeggiated harmonics of triads using tetra chords’ (please note: that collection of words didn’t come from Cam, at least not in that order; that is a bastardised mish-mash of words I heard but didn’t understand). Cam is the other side of music teaching, the cool kind – the kind that is the antithesis to the high school clarinet teacher who fails to convey the coolness of learning. Cam makes music teaching look cool, he also makes it sound cool. Back on track, Big Dead includes Cam on guitar, piano and vocals, Reuben Neilsen on bass and upright bass (cool! ), Nathan McGregor on drums, Andrew Fincher on guitar, piano and vocals and Josh Dunn on guitar. This configuration of the band has been together since roughly the beginning of 2011, after the release of their first EP. Cam, Reuben and Josh are the remaining members of the original line-up, after two former bandmates moved on to other things. While their previous EP was put together with a different line-up and probably a different sound, it is a great collection of songs that convey an aura of seriousness and melancholy thanks to a backdrop of nicely structured sounds that combine elements of ambient noise, post-rock and jazz. It is an interesting combination, and Cam’s vocals add to the overall vibe, making their songs very easy to listen to in my opinion. Okay, so, Big Dead are going to sound a bit different on their next EP. Fair enough. But what is also interesting is the attitude these guys have to experimentation and change when it comes to music. Like Cam, the other blokes in Big Dead are students of music. Most of them have been playing music together since they were in their early teens, the growth of their music tastes and ideas has been a shared experience and their ideas and creative tendencies have seen a similar expansion. What I found out from Cam is that Big Dead don’t seem to have any self-limitations or an ideal end point for their sound. Since they started jamming in their teens, their thirst for creating something of their own grew, as did their desire for experimentation. The sound of Big Dead is very much an amalgamation of the tastes of each member. Cam informs me that even though he sometimes takes the role of band leader, directing the soundscapes and putting them together for the purpose of coherency in recording and rehearsal, he doesn’t get a final say on what the end product is like. This is necessary simply because of the sheer amount of sound each member wants to cram into each song. Big Dead live sets can include anything from ambient electronic segments, trip-hop breakdowns and free form jazz influenced expositions. It is as if they find every brand of music inspiring and they want to incorporate something from each simultaneously. The jazz and post-rock influences are sort of what make Big Dead so great. I liked the songs from their first EP because it had that feeling of a carefully restrained eruption. They manage to keep a lid on the post-rock wankery that seems to permeate the sound of a few acts in that genre, yet the jazz improvisation element keeps it interesting, so you never really know if they are going to go on a tangent or not, but it all comes together in a satisfying way. It seems as if jazz is the key ingredient within Big Dead’s sound. As a progenitor for all kinds of modern musical development, the core concept of improvisation and adaptability in jazz are the exact things that make Big Dead songs work. It may be the sole reason that they can get away with trying out so many different things, it may also be why it works so well. I am still yet to hear the product of the past years’ worth of recording. I am extremely excited for Big Dead’s new EP, simply because of the possibilities it holds. 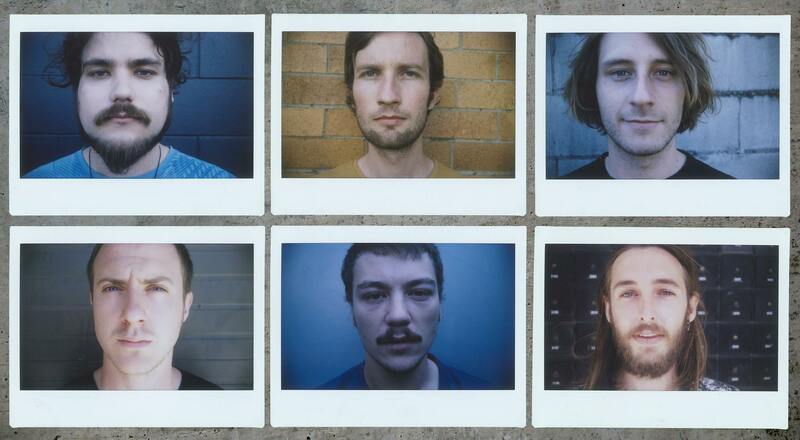 The malleability and adaptability sound great on paper, it is hard to contain excitement for what could possibly be some of the most interesting music to be made in Brisbane. The journo in me is going to reserve judgement for a few more weeks, but damn if I’m not anxious to hear it. I asked Cam if he sees the jazz influence on any other contemporary acts. It is a unique quality for a band to have not only the ability to change so rapidly, but to willingly instigate it for the purpose of improving their craft. It thought their first EP was a winner, so it must take some balls to tinker with a working formula. If it pays off, then why shouldn’t every other band do the same? No band wants to do the same thing over and over again, but in my opinion, not enough are agreeable to starting from scratch more than once. So, about this upcoming EP, Cam and Co. are understandably excited about it (so am I, if you couldn’t tell), but I was surprised to hear that it is to be a constrained affair, following a more conventional structure. I suppose that is as close to a glimpse of the EP that I can provide, but one thing is certain, Big Dead write good ‘song’ songs, so a release full of them is fine by me. I can’t tell you what to expect, but I asked Cam what he thinks people will get out of it. These guys are too good at what they do to not make us feel something. All I know is, Cam would be a pretty swell music teacher.